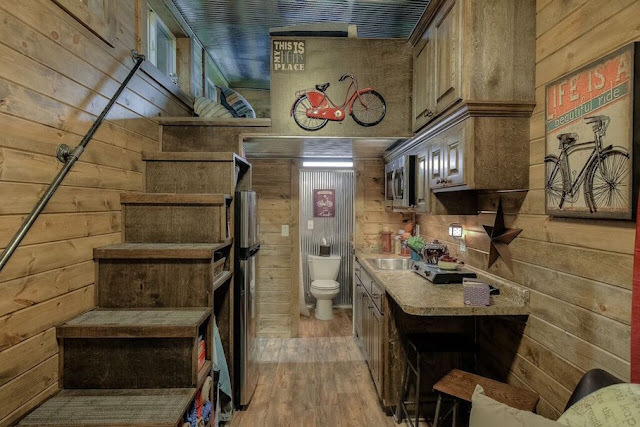 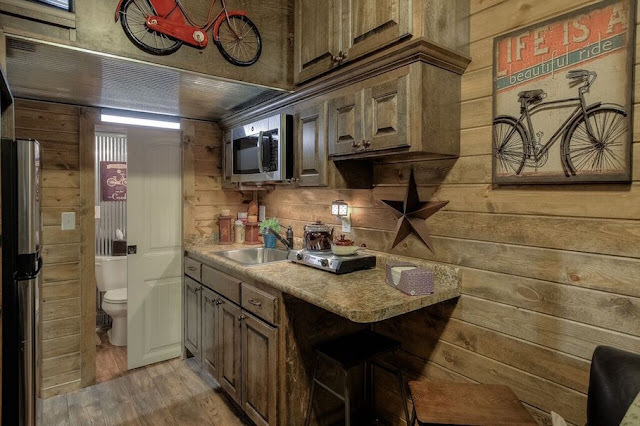 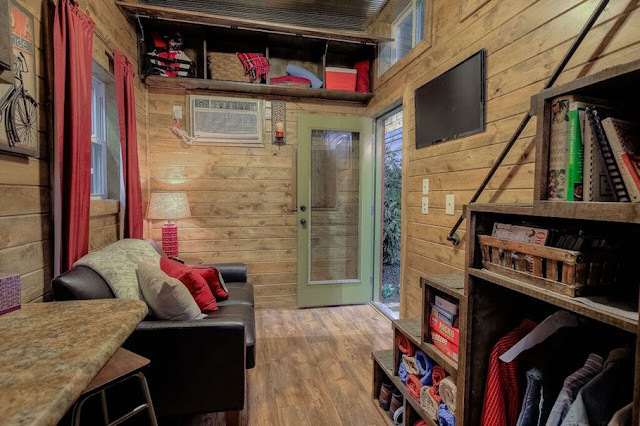 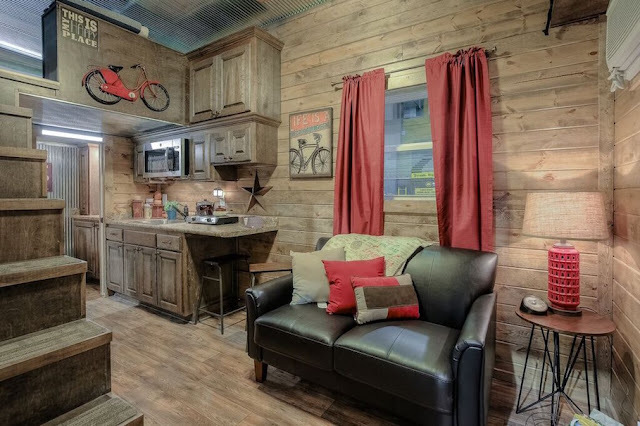 This 215-square-foot cabin-styled tiny home is actually a re-purposed shipping container! 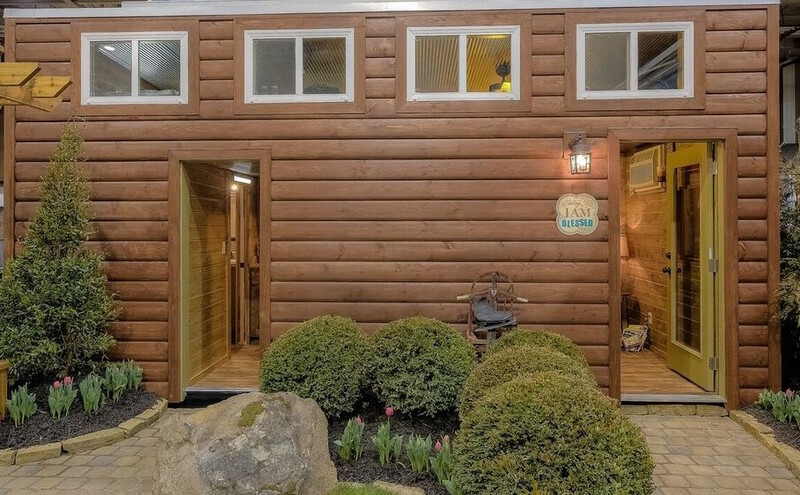 This home, made by Custom Container Living in Archie, Missouri, sells for just $34,400. 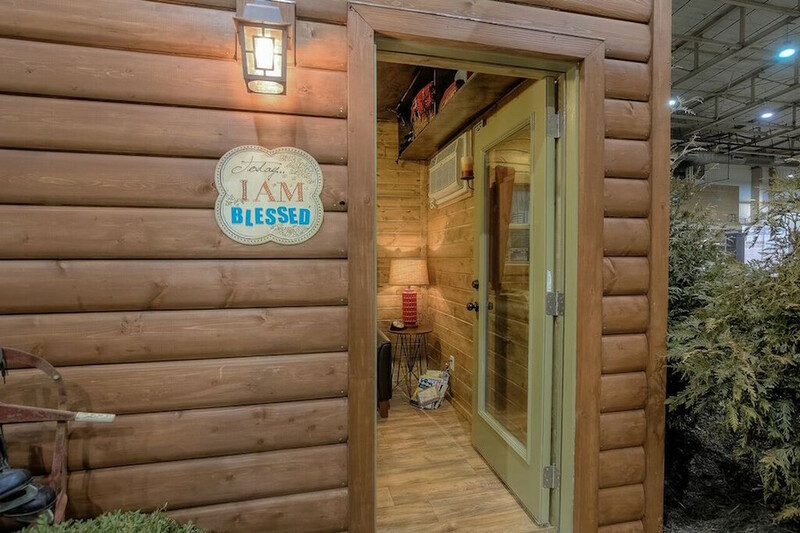 It’s low-maintenance, termite-resistant, and made for just about any kind of whether. 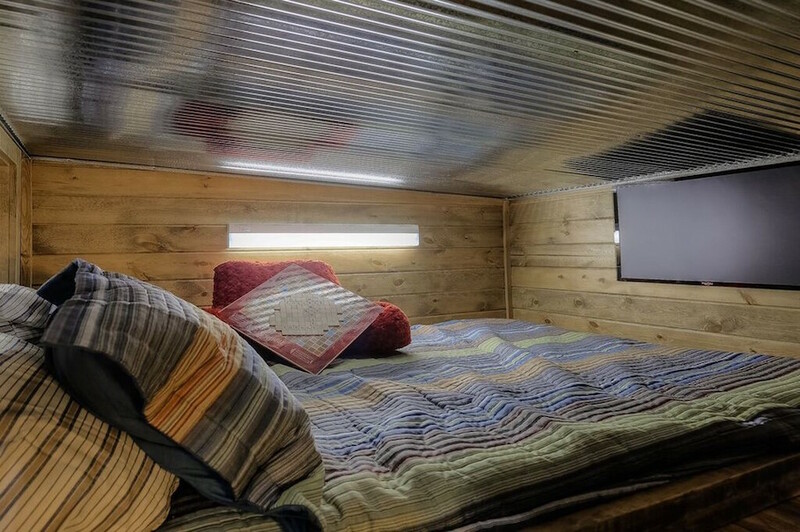 It can also be installed and moved into the same day it’s delivered. The home also comes equipped with a microwave, two-burner stove top, a fridge, and a washer/dryer combination.